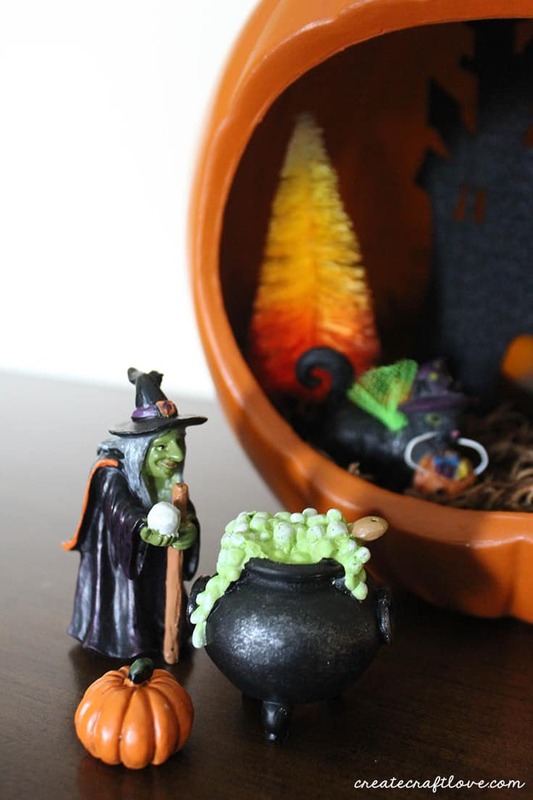 Create your own Pumpkin Diorama this fall for a new twist on traditional Halloween decorating! Have you seen these on the web? 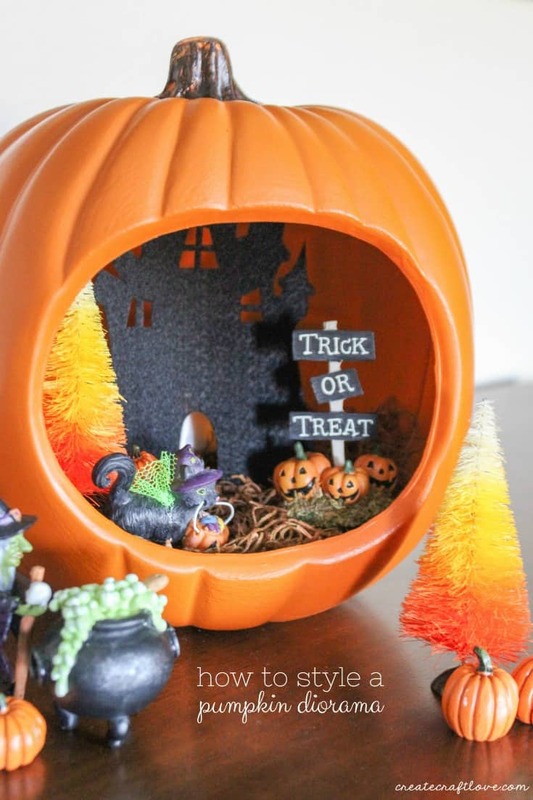 Pumpkin dioramas are all the rage on Pinterest this fall. It’s pumpkin meets fairy garden and I love them. So many possibilities for fun new decorating ideas! 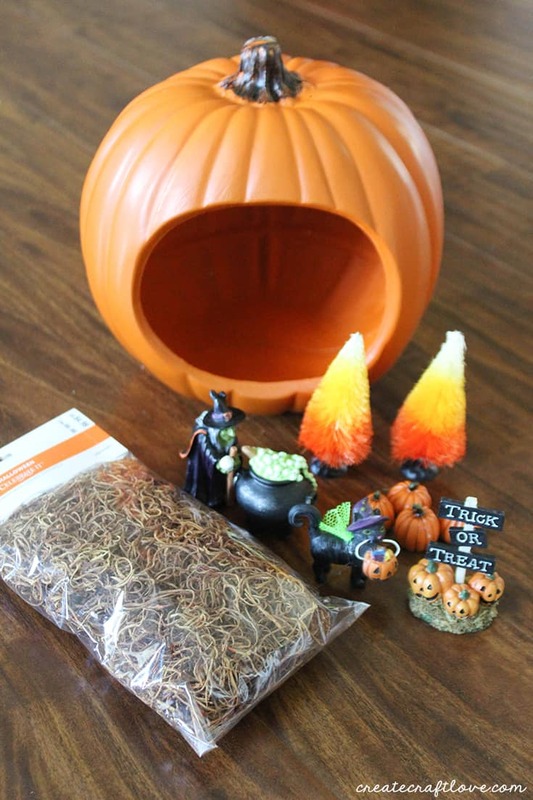 I love non-traditional pumpkin decorating ideas! Begin by purchasing the supplies listed above. I found all of my supplies at Michaels in the seasonal section. They had ideas for all sorts of different dioramas. 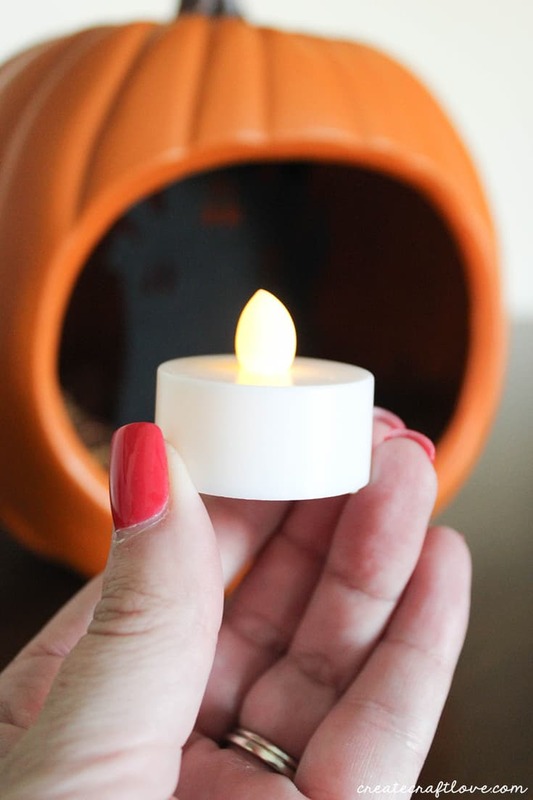 Super cute one for Dia de Los Muertos in a black pumpkin! 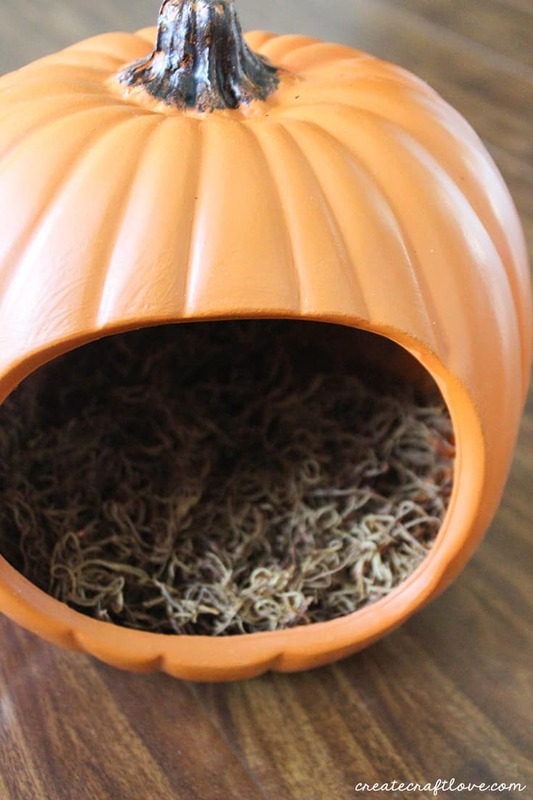 Add decorative moss to the bottom of the inside of the open faced pumpkin. 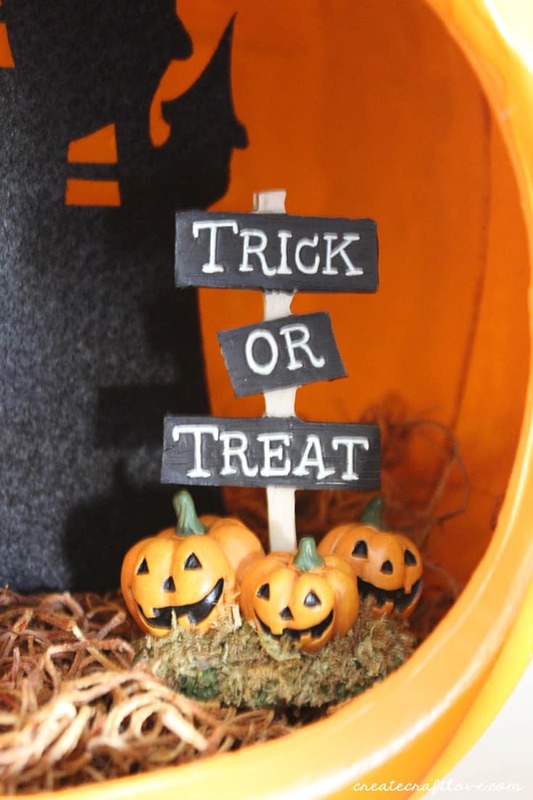 They had a cute haunted house you could buy for the inside of the pumpkin but I decided to use some left over black felt and cut one out with my Cricut Maker! 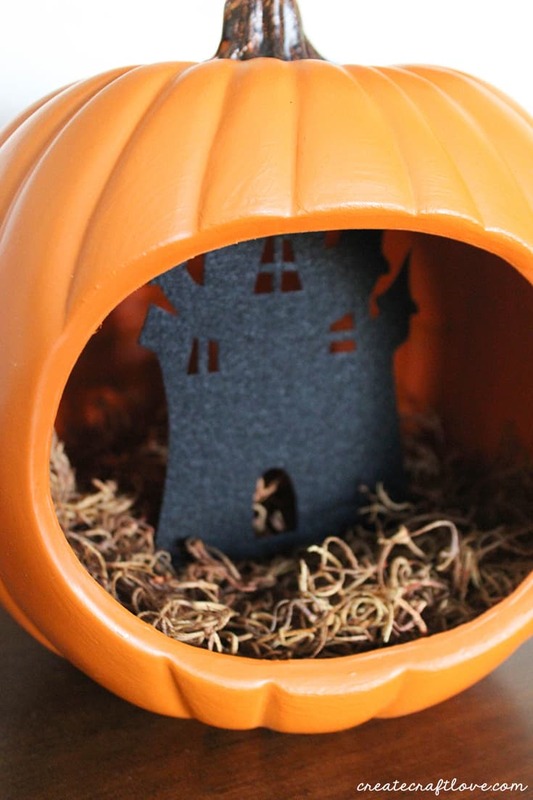 Add haunted house to the inside of the pumpkin. I add a little LED tea light behind it to give it a ghostly glow at night! Next, I added the bottle brush trees. I always go from largest to smallest item when styling something like this. Once you have the trees as you like, then start adding the little Halloween figurines. If you have room on your sideboard or display table, I encourage you to give it more dimension by creating a scene around the outside as well! I liked the idea of the witch being on the outside brewing her potion. Of course, this all just depends on the figurines you purchase. 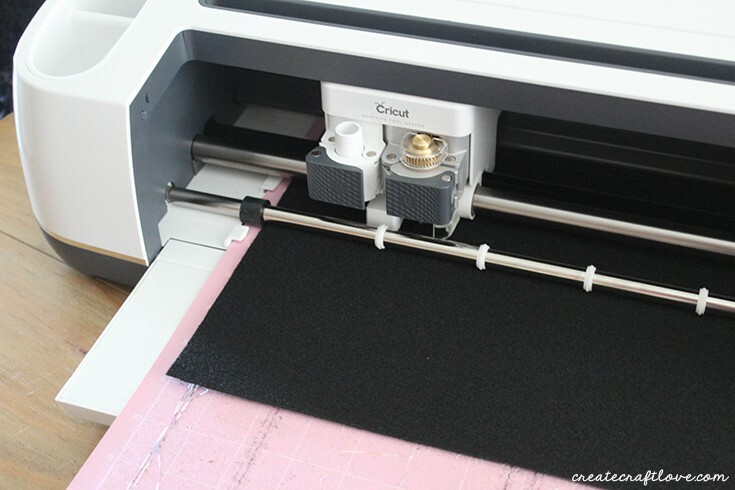 This is such a fun project to let the kids get involved in! You never know what their little minds will cook up! Hopefully, this will spark some creativity and you will make your own! I’d love to see them! Hop over to my Facebook page and share your picture!